Fire prevention week will soon be here! Our firefighters will be visiting schools to teach our youth how to keep themselves safe in the event of a fire. Please help us by reinforcing these lessons at home. Please also join us on Friday October 12 at 7pm for live demonstrations and fire safety lessons. 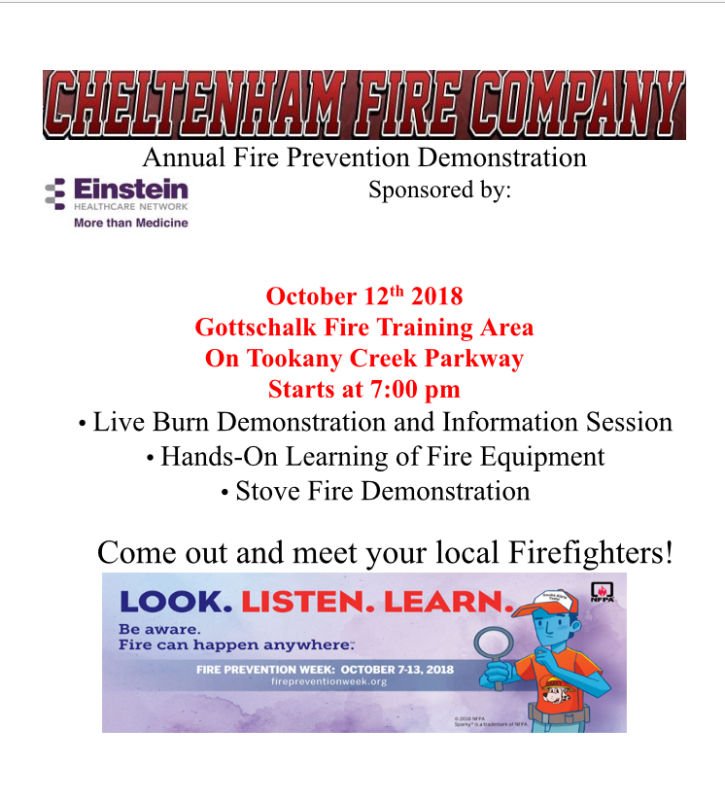 It will be held at the Gottschalk Fire Training Area on Tookany Creek Parkway, right across from the Elkins Park School track. Think fire safety every day and check your smoke detectors each month, it could save your life! !